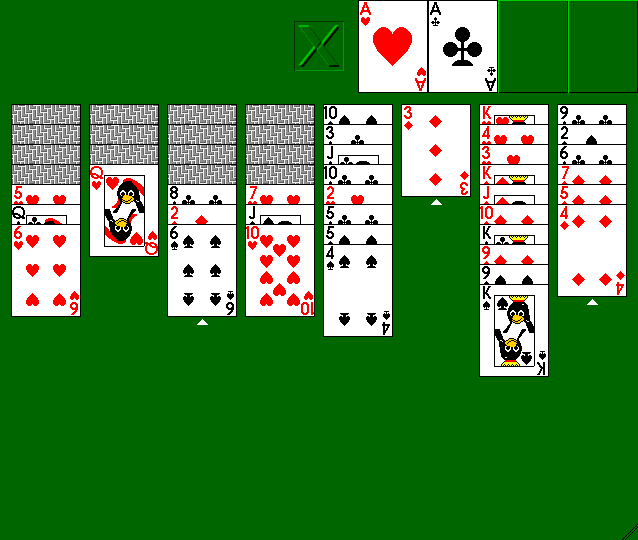 The game Thornquist (aka ace_thornq) is a computerized solitaire game. I have been playing it for years. 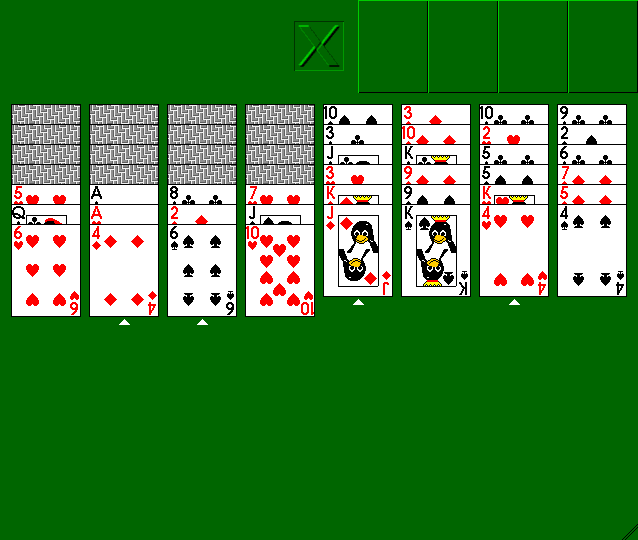 The name comes comes from "Martin Thornquist", the game's programmer. On Debianesque systems, it is available in the ace-of-penguins package. 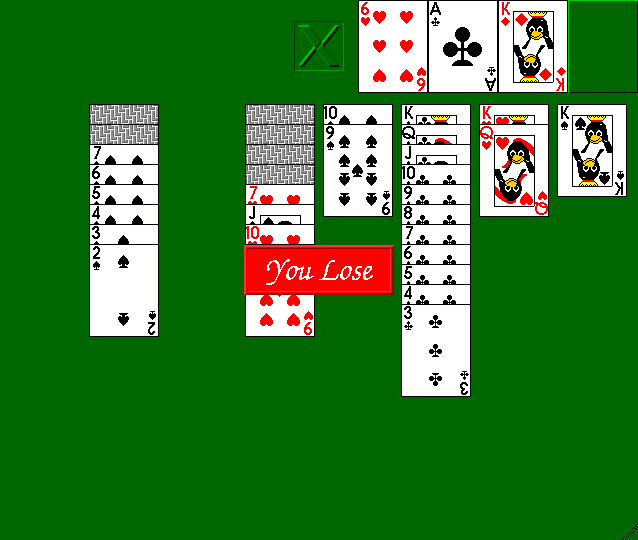 and here is a screenshot of a game in progress. Thornquist is not a particularly difficult game. Strategically, uncovering the hidden cards is important, and pretty much every move you make should get you closer to uncovering hidden cards. It is still possible to lose Thornquist if all cards are uncovered, but it is much easier to lose when there are cards hidden. Most of the moves are mechanical drudgery. Once in a while there is a choice to make, and the impacts of that choice can be large even if you don't realize it at the time. You might think you are winning a particular game, only to get hopelessly stuck. Many deals have no winning strategy no matter how hard you try. It is easy to lose, and there is no great reward for winning -- you get to play again. Except for the reincarnation bit (which I hope is false), Thornquist is a pretty good analogy for life. I wish I knew enough combinatorics to figure out the percentage of potential winning deals to losing ones. Even when I can clearly see that a particular game has no winning strategy, I play the match through. This just wastes my time. I have never had the good sense to bail out of losing situations before the bitter end. Thornquist is one of home distractions. Fortunately even winning games take only five minutes to play. I find myself using the game to superstitiously predict my fortune; if I win a game I feel some optimism; otherwise I feel that life will continue as usual. The big red "YOU LOSE" message at the end of a game helps reinforce this important life lesson. I lose again and again and again.